If July is the Saturday of summer, then logically it follows that August is the Sunday. Soak it up, people! Summer is almost over! The zombies in this video should scare you to go outside if you're not already motivated. Does the whole PokemonGo thing have you down? Watch this. 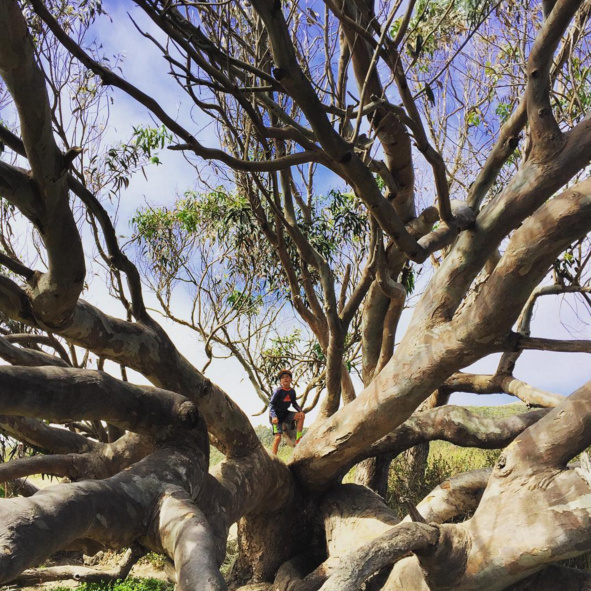 The Best Climbing Tree In The Whole World can be found in the Pescadero Marsh. To find it, download What3Words and search "Marketplace Crossword Family." Or see the exact location of the tree here. Are you raising your kids to be nature-phobic? Need a challenge? The East Bay Regional Park District's Trail Challenge is a good one that you're totally capable of doing.